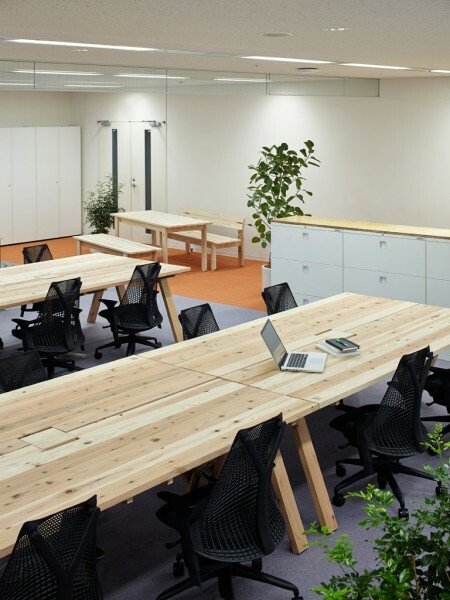 We performed the interior design for the new office of a global digital contents agency. 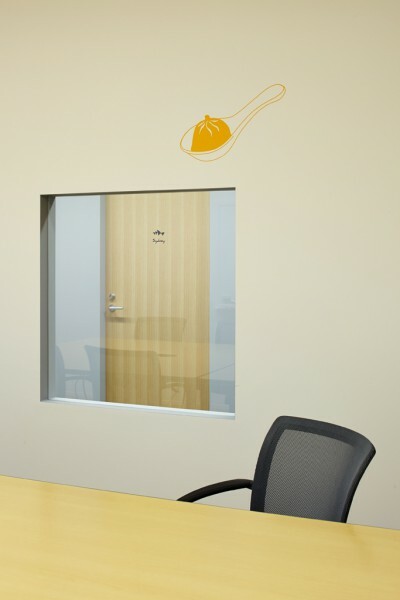 Deliverables included an entrance space housing a large reception area, a smooth line of flow leading to the meeting rooms and spaces fostering active communication between employees. 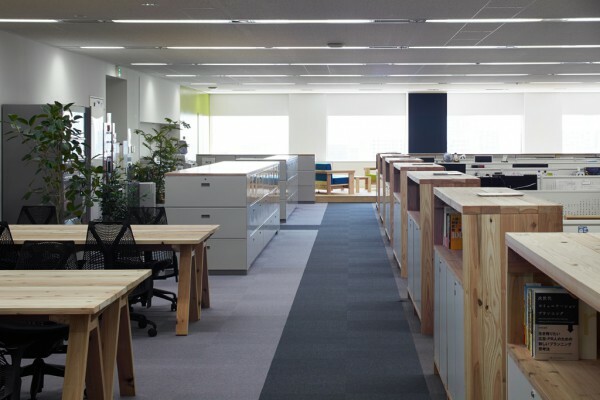 The manufacturing of furniture for newly designed areas, such as the entrance, the common meeting spaces for employees, the resting space, and the shelves for common use on each island made of existing desks were commissioned to the Ishinomaki Laboratory as Torafu Architects has been engaged in the management of this collaborative group dedicated to the independent recovery of the earthquake-stricken area. 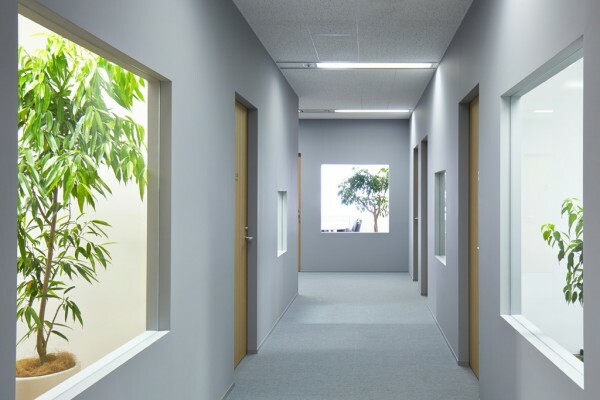 The line of flow in the previous office was complicated because meeting rooms were scattered throughout the floor, but by gathering these in a single area, we ensured a smooth line of flow from the entrance and a convenient layout. The four corners of the entrance walls are curved to give the impression of being softly wrapped around the reception area. 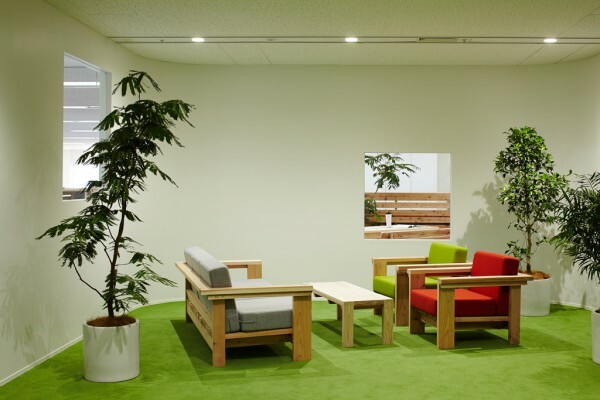 By using green carpeting, which is the corporate color of the company, and furnishing it with Ishinomaki Laboratory’s creations, we achieved an open space reminiscent of the outdoors and the smell of wood. The 10 meeting rooms are named after cities in which Razorfish’s offices are located and each room was given distinguishing features by placing logos and colored floors indicative of each city.Furthermore, by opening windows on the hallway, we not only ensured the brightness in each room, but also created a space that gives one the impression of taking a stroll down an alley. 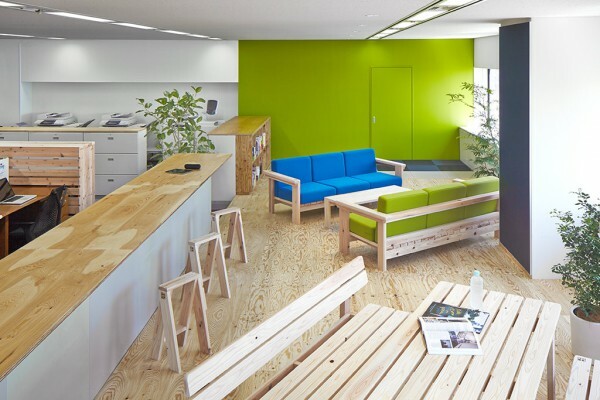 By placing shelves made by the Ishinomaki Laboratory on each island in the working area, we introduced a natural element in the office environment which otherwise tends to be inorganic. 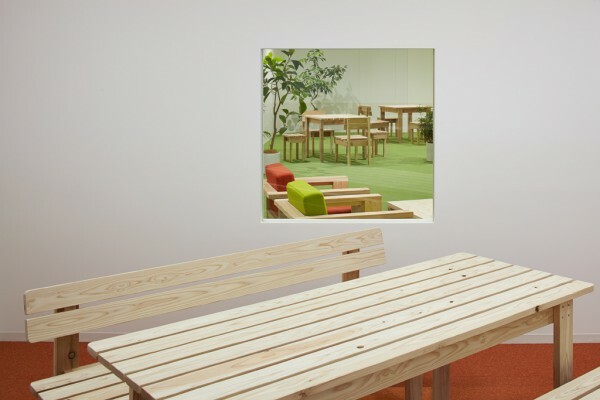 The area facing the sea is made to be a resting space with lockers to store belongings and a stage made of Japanese larch plywood. 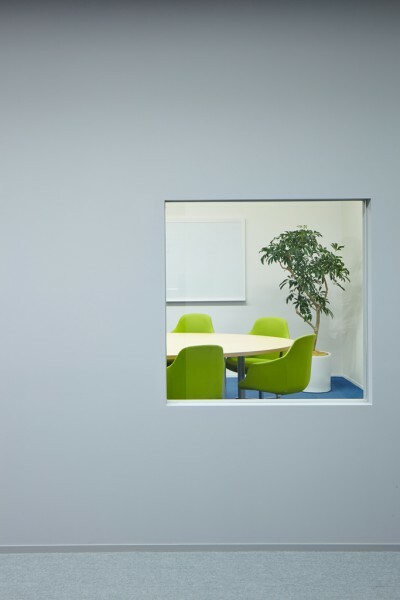 Moreover, a place for employees to share information was secured by creating a soft boundary between it and the working space. 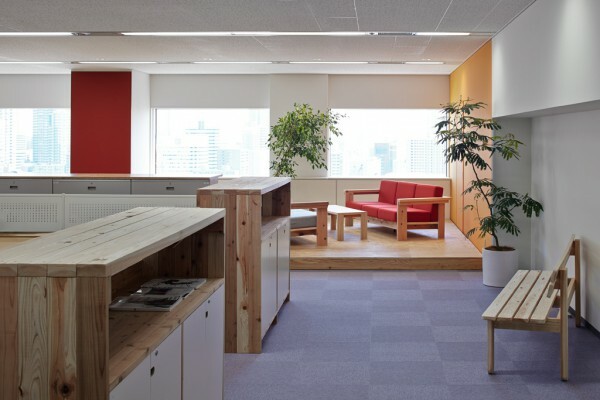 We strived to provide an office space where the smell and warmth of wood can be experienced while being surrounded by high-rise buildings and from which creativity can originate.